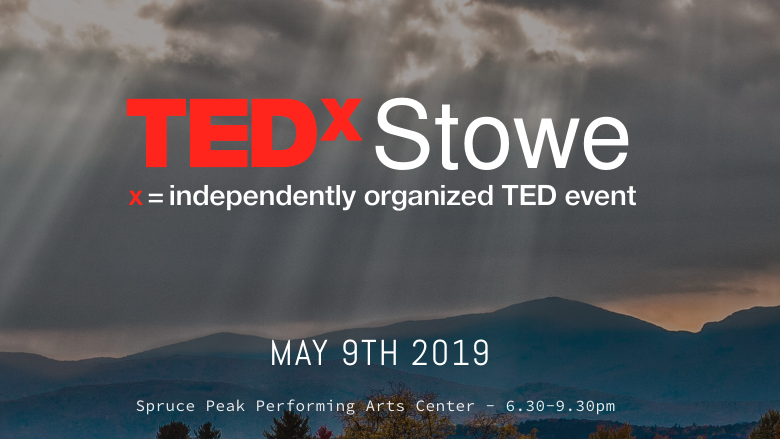 I’m happy to announce that I am part of the line-up of speakers for the spectacular TEDxStowe event happening at the Spruce Peak Performing Arts Center in Stowe, VT on May 9th! Unfortunately, tickets have already sold out! HOWEVER, each of the speeches will be recorded and then added to the TEDx website after the event, so you’ll still have a chance to see them! Follow me on Facebook for more info for when those videos will be available.